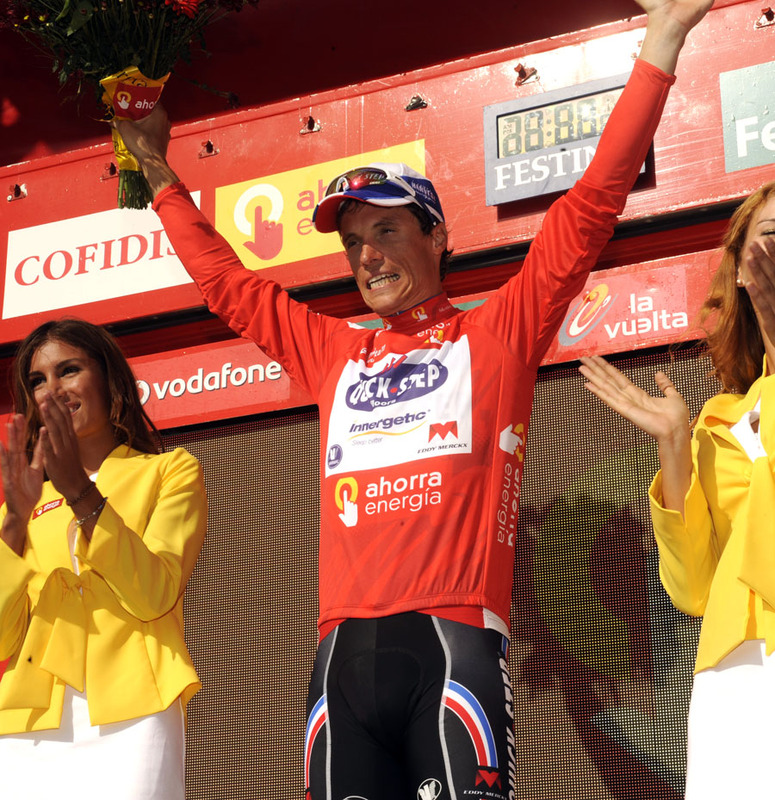 Daniel Moreno (Katusha) claimed a well-taken stage win at the Vuelta a Espana on Tuesday when he beat Chris Anker Sörensen (Saxo Bank-Sunguard) to the line at Sierra Nevada. The Spaniard jumped away from his fellow breakaway in the final 300m to take this early foray into the mountains by a comfortable margin. Daniel Martin (Garmin-Cervélo) claimed his best yet result in a Grand Tour stage when he led in the main group of contenders, eleven seconds back. The Irishman showed prominently on the 23km first category finishing climb and beat the usually fast finishing Joaquin Rodriguez (Katusha) for third place. On an yet another hot day, and one on which Mark Cavendish (HTC-Highroad) abandoned, Britain’s Bradley Wiggins also showed well. Although the steady graded, wide and well surfaced ascent was always going to be his suiting, he looked comfortable all the way up. He was in close attendance when defending Vuleta champion Vincenzo Nibali (Liquigas) tested the water with 8km to go and even had Sky team mate Chris Froome set a high pace on the front of the main group in the closing two kilometres. One of the upshots of Froome driving the pace as the race approached the finish, was that Wiggins’ potential overall rival Igor Anton lost more time. The Euskaltel-Euskadi man, who was leading the Vuelta when he crashed out last year, was dropped by the main contenders group with 9km to go and came in with a team mate 1-22 down. Sylvain Chavanel was another rider who lost time at the top of the climb in the hot conditions. However with race leader Pablo Lastras (Movistar) having been dropped by the group earlier on, the Frenchman moved into the leader’s red jersey. The winning move emerged shortly after Nibali’s brief skirmish when Astana’s Robert Kiserlovski launched a counter attack. Quickly joined by Sörensen, the pair bridged across to the four remnants of the day’s early break: Thomas Rohregger (Leopard-Trek), Matthew Busche (Radioshack), Eduard Vorganov (Katusha) and Guillame Bonnafond (AG2R). As Sorenson rode almost straight past the group, Bonnafond latched onto him but made little contribution to the effort. As Bonnafond faded in the final 3km, he was immediately replaced by Moreno who, like Sorenson, had ridden across from the main group and past the chasers with an apparent level of ease. With Sorenson doing the bulk of the work towards the line, it was with a similarly straightforward move that Moreno struck out for his win. He kicked from off Sorenson’s wheel and immediately opened up a gap of several lengths. As well as taking the stage, he moved into second overall.